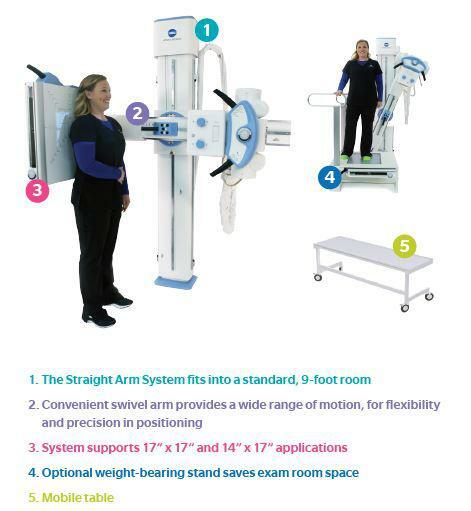 A full range of motion enables all imaging views required while accommodating patients who are standing, sitting, lying on a table or confined to a wheelchair. 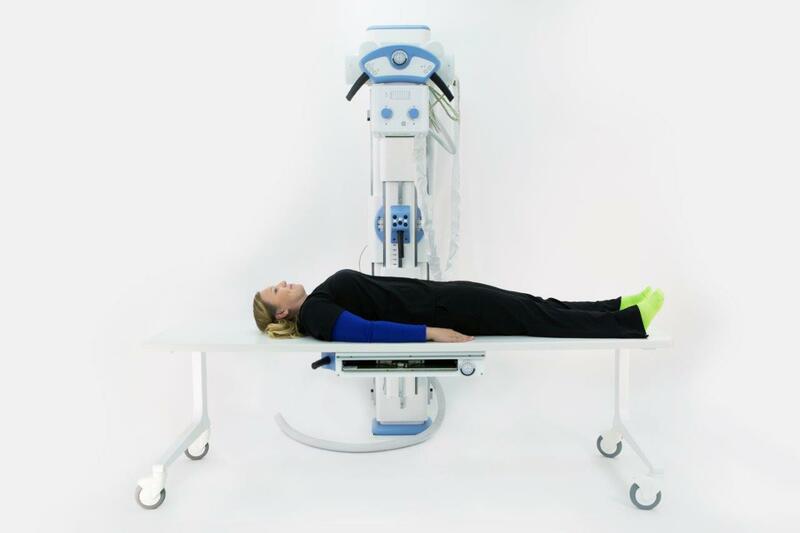 The swivel arm rotates 135 degrees clockwise and counterclockwise and moves 39 inches vertically to easily arrive at the ideal exposure position. The detector also tilts 45 degrees in two directions.